Minuteman Press is your one stop shop for printing and mailing services! We offer complete mailing fulfillment, with no third party mailing house necessary. If you are an individual, small business, large corporation, professional, school or an organization, Minuteman Press offers printing and mailing services for direct mail marketing, fundraising mailings and distribution of any type of printed materials. 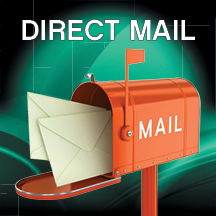 We offer many different options for your mailing needs. Direct Mail is affordable, fast and easy and a great way to prospect, inform, send an invitation and drive traffic to your store, website or event. EDDM® - Every Door Direct Mail® - The best kept secret and the best program to come out of the USPS in years. Saturation mailing, you don’t need a mailing list. Try EDDM® and cut your postage nearly in ½. The most popular way to send items through USPS. 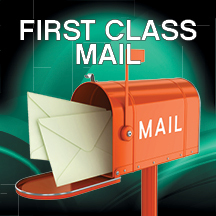 You can send standard postcards, letters and large envelopes and small packages up to 15.99 ounces using First Class Mail. All international mail must be sent First Class.